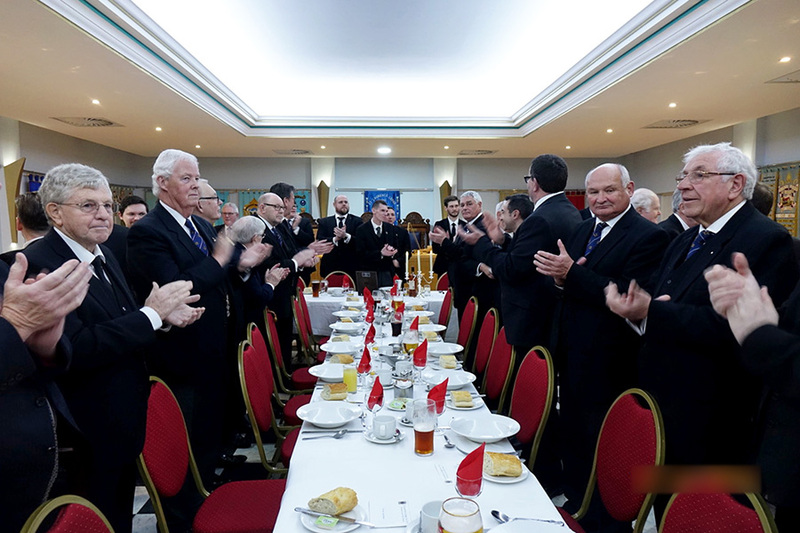 W Bro Dean Richardson opened the meeting which was attended by around 60 brethren. 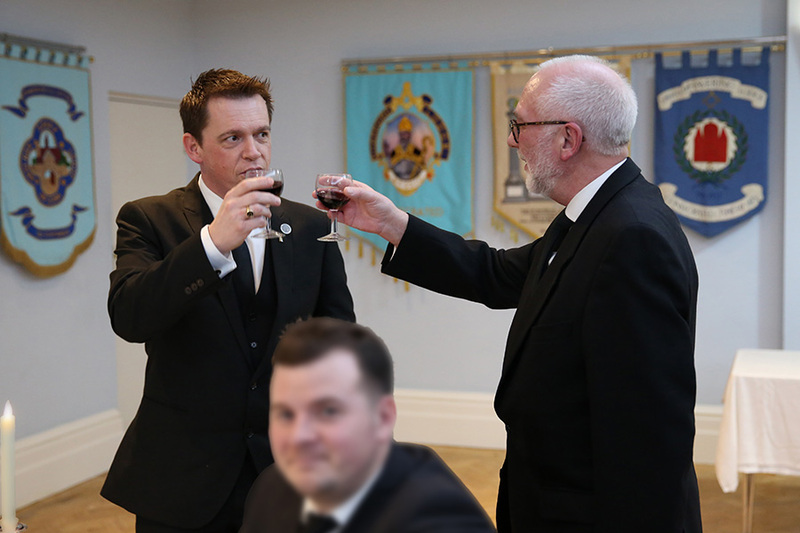 We first greeted a re-joining member, Bro Paul, who had unfortunately had to resign in the year 2000 and came back to us 19 years later! 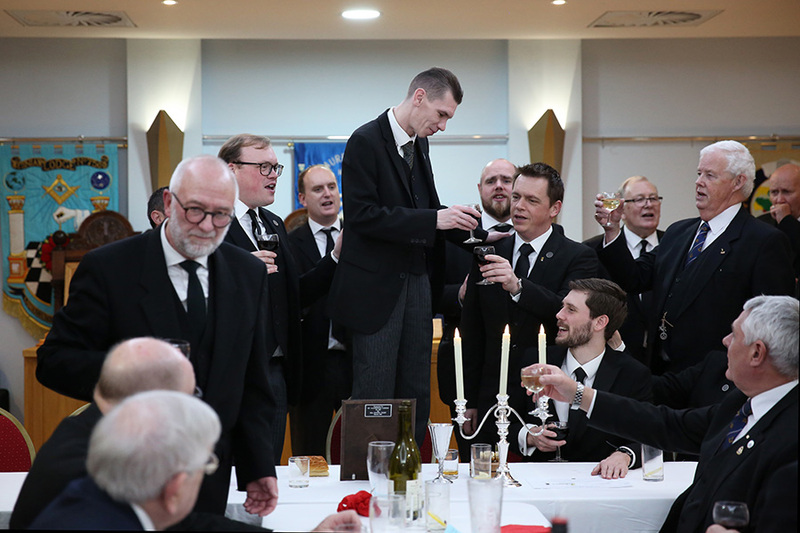 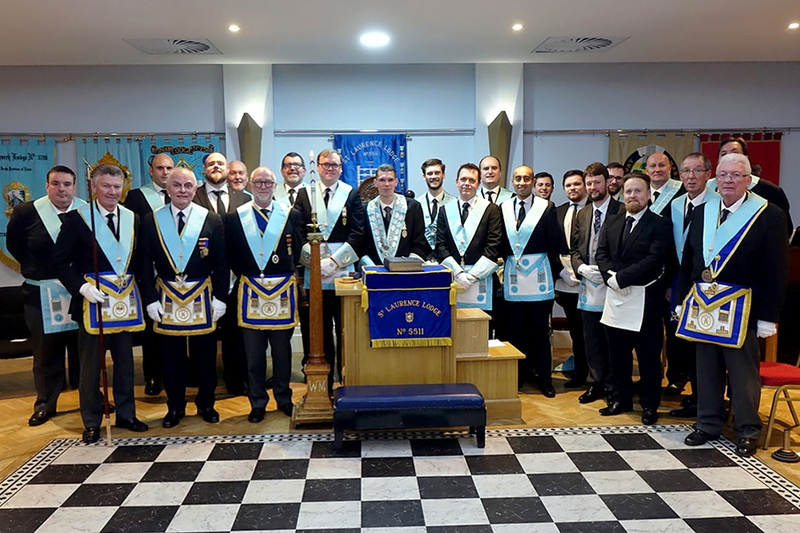 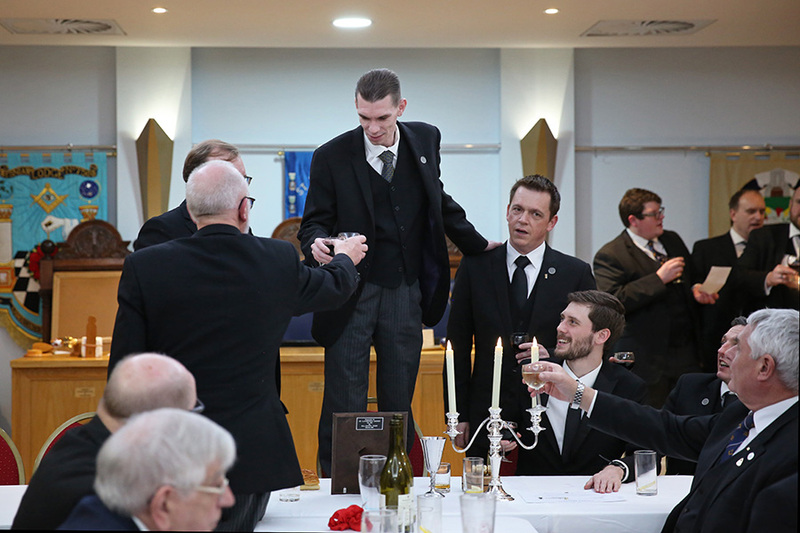 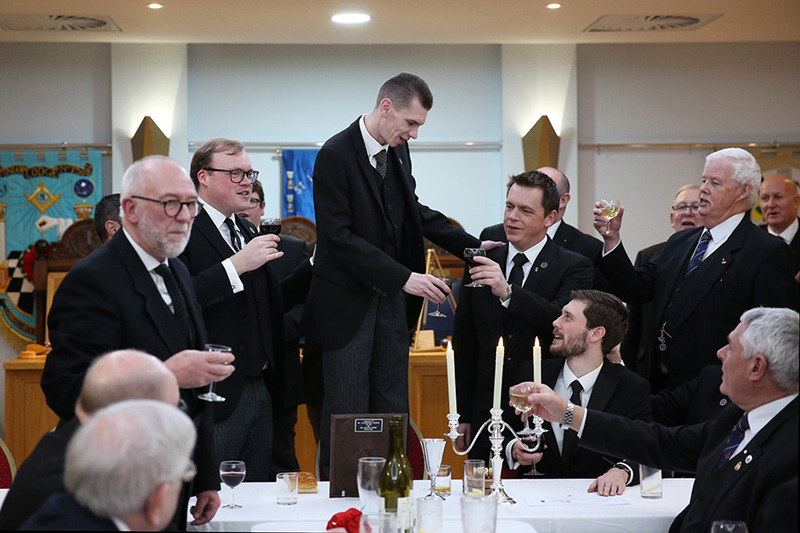 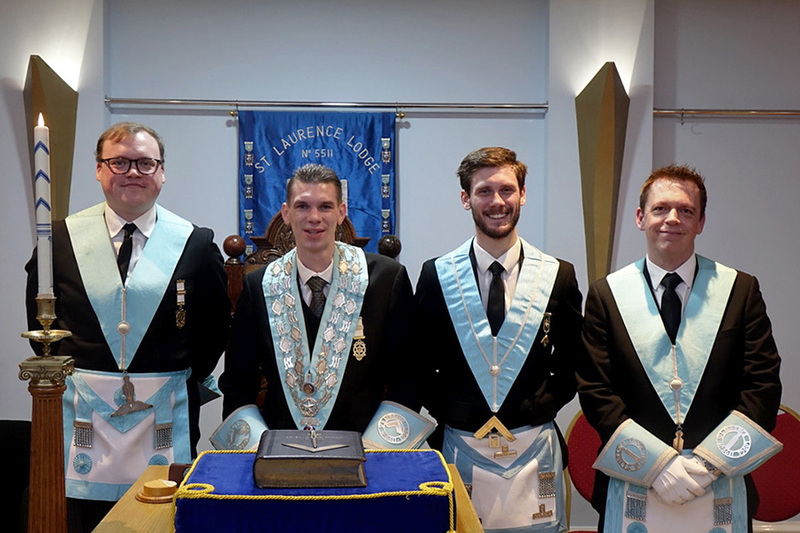 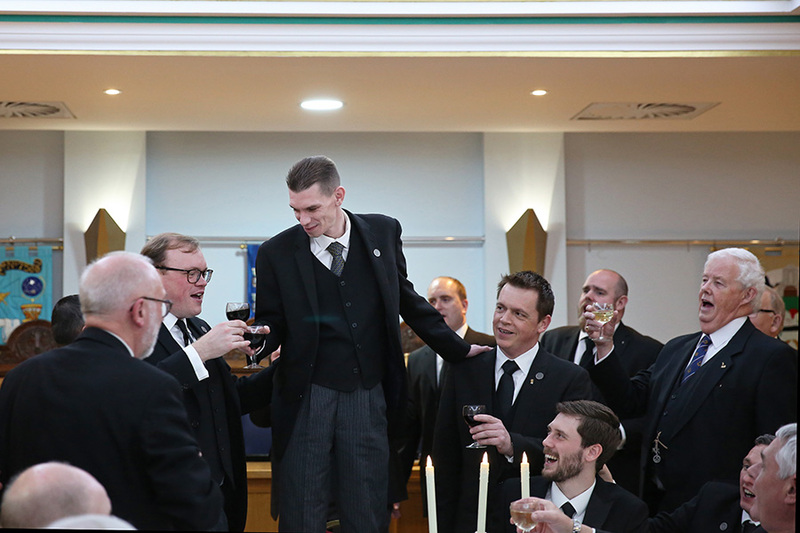 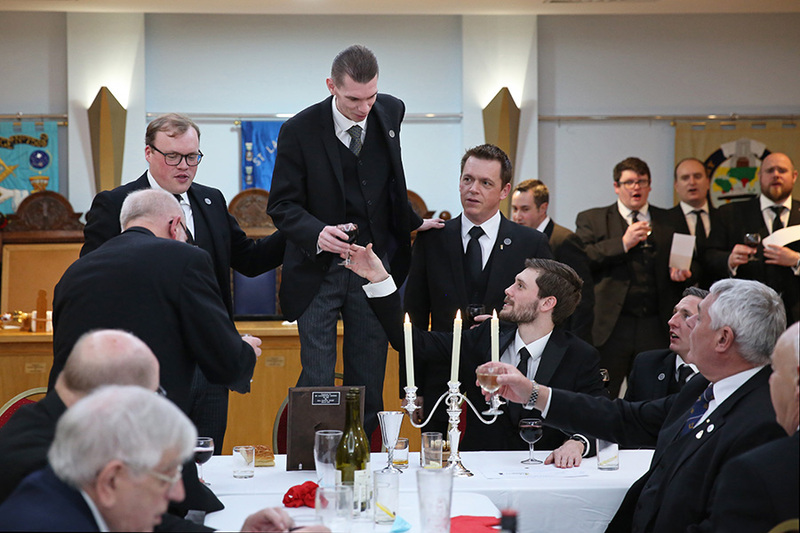 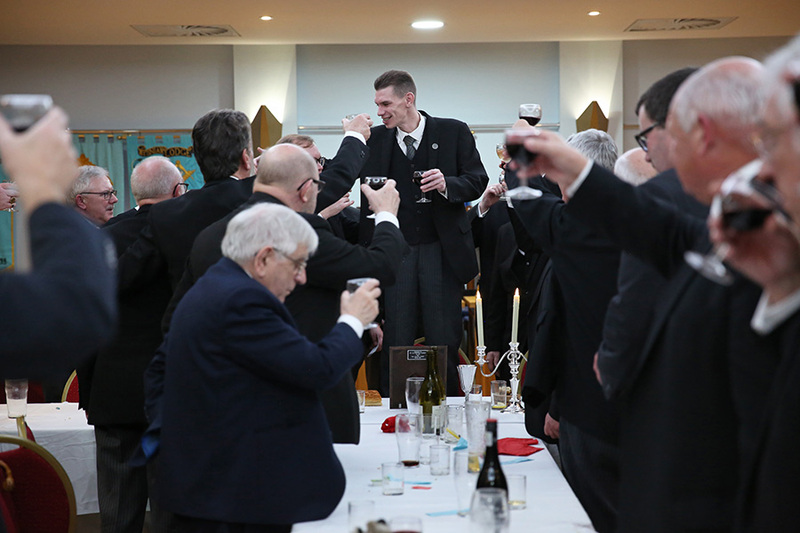 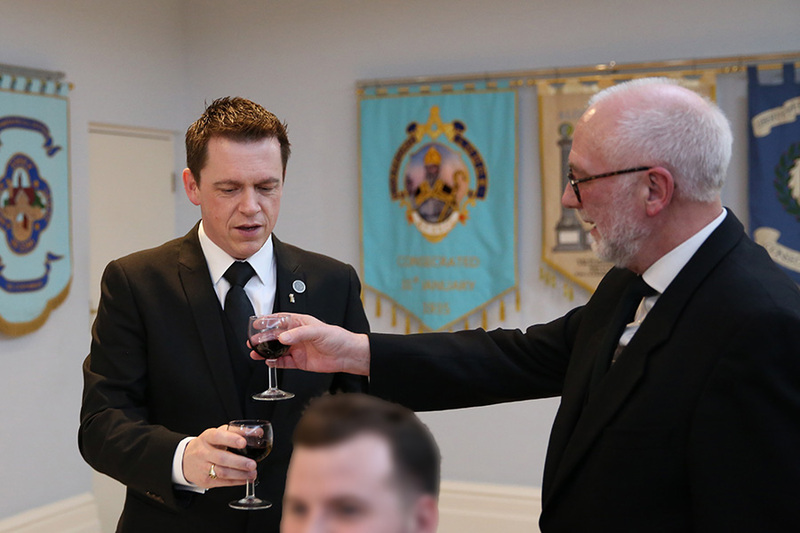 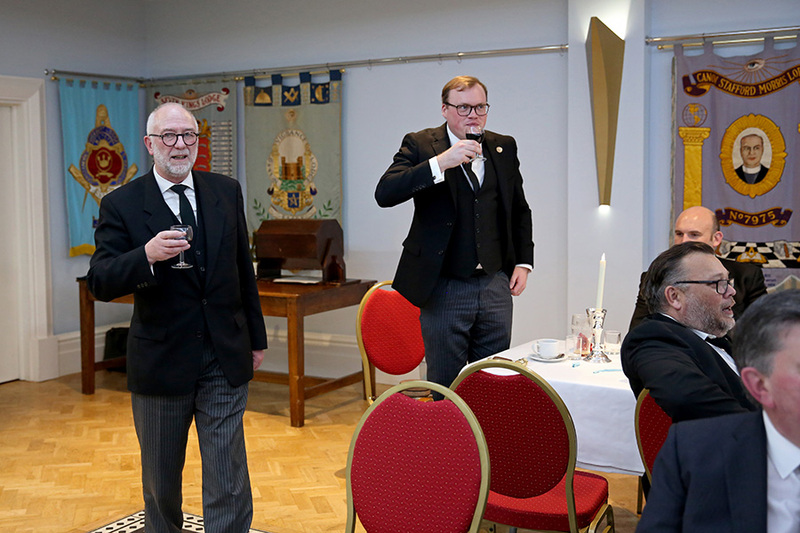 W Bro Dean conducted the first part of the Installation Ceremony, obligating his successor with sincerity, with the able assistance of W Bro Peter Wilks and the rest of his Officers. 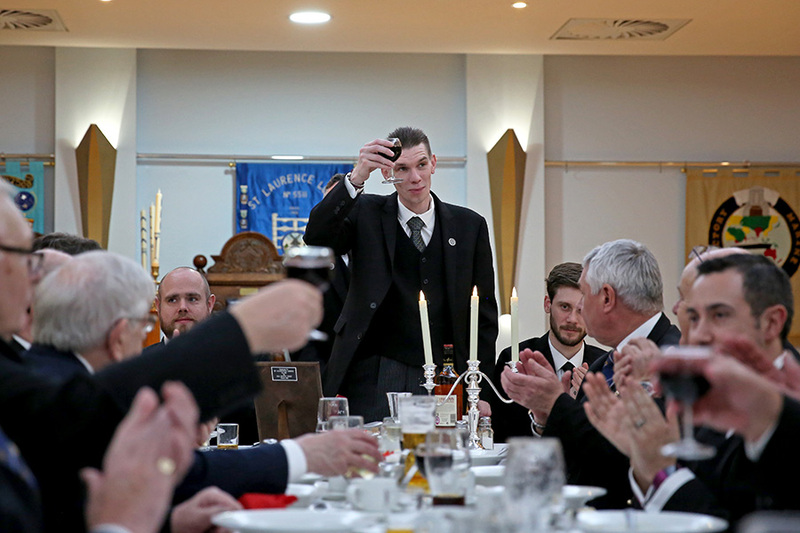 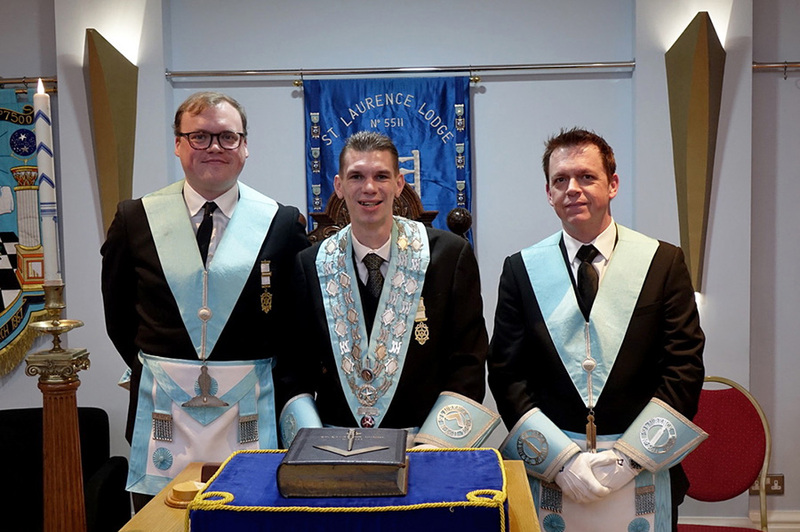 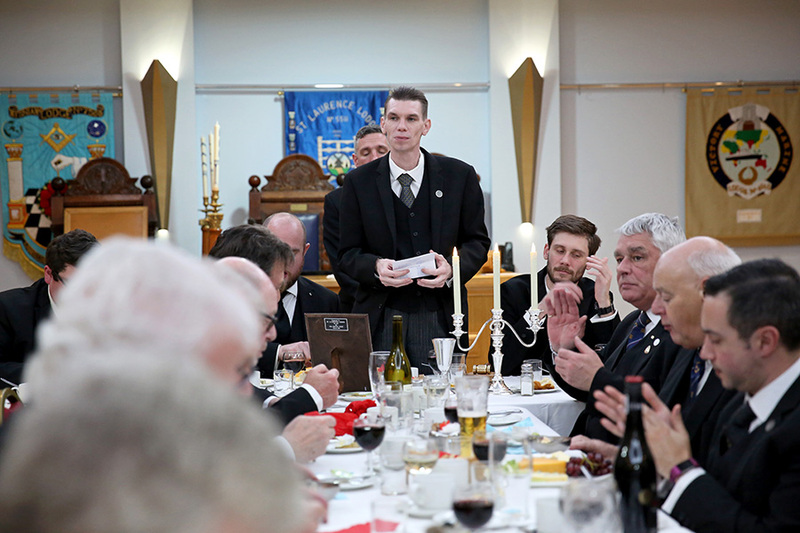 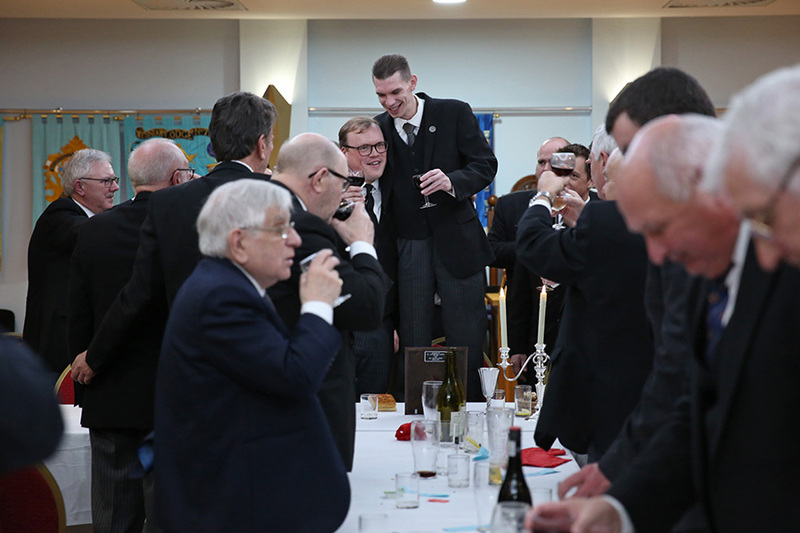 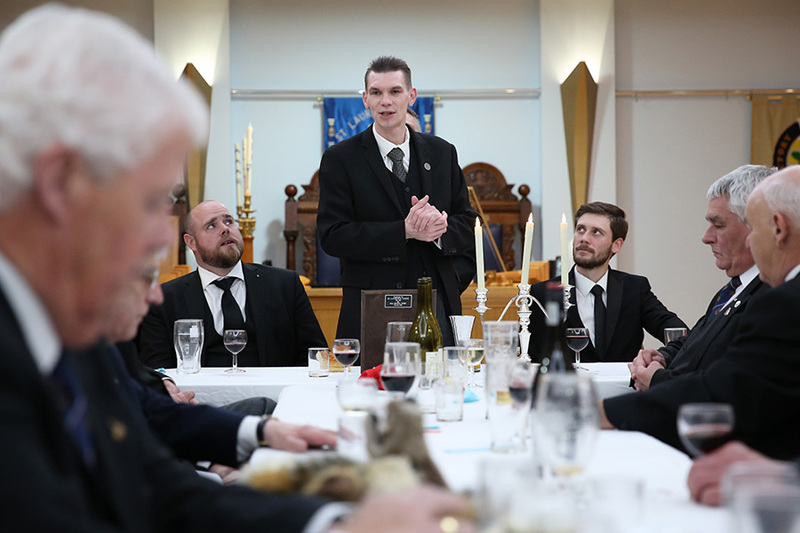 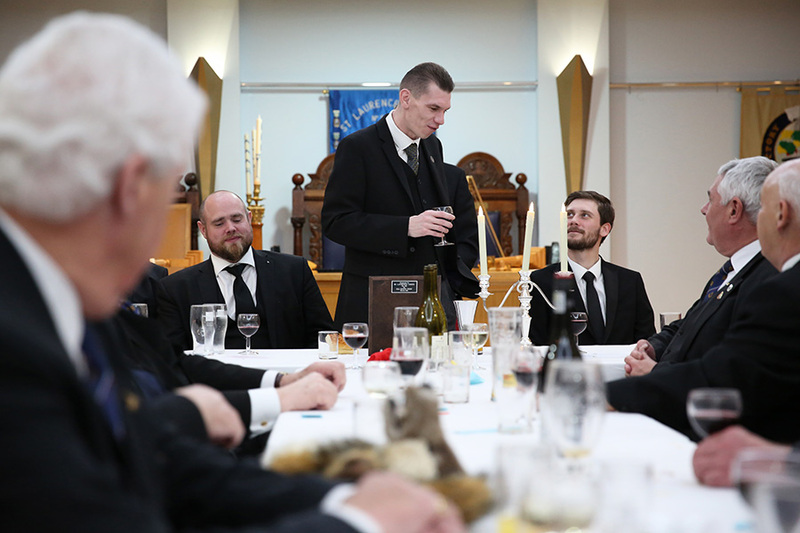 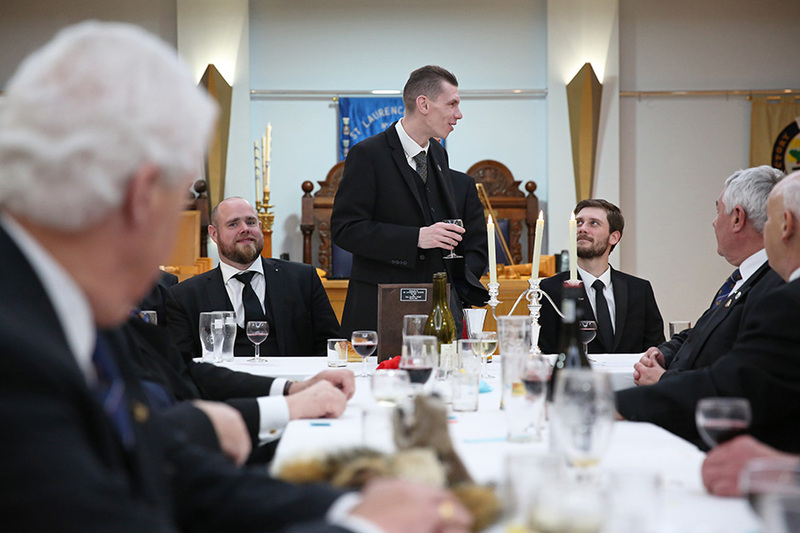 W Bro David West took over for the Inner Working and placed Worshipful Brother David Crow in the chair of King Solomon in what was a very good ceremony indeed. 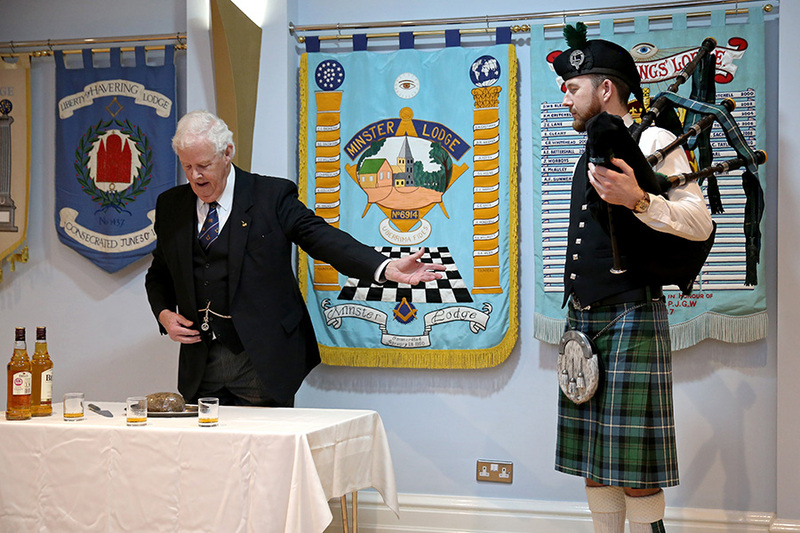 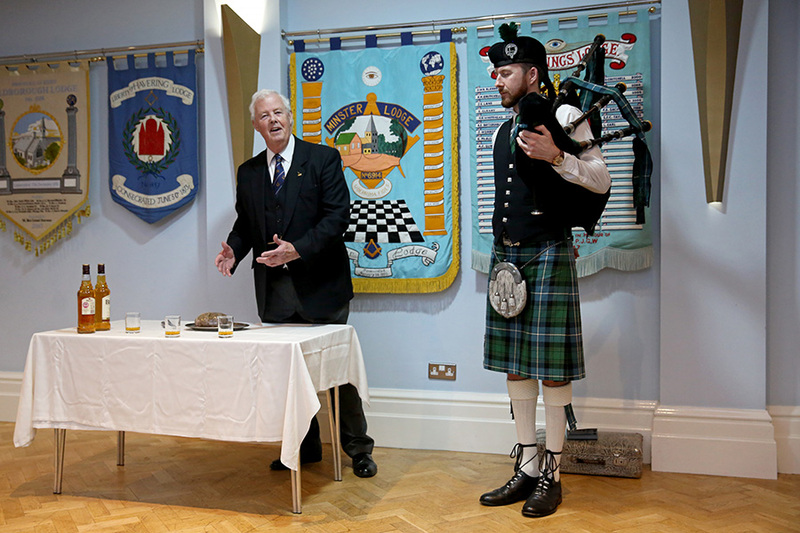 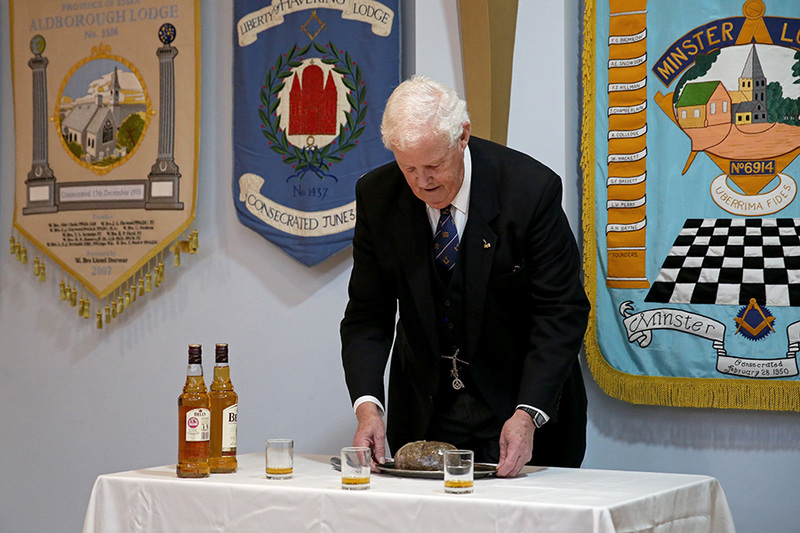 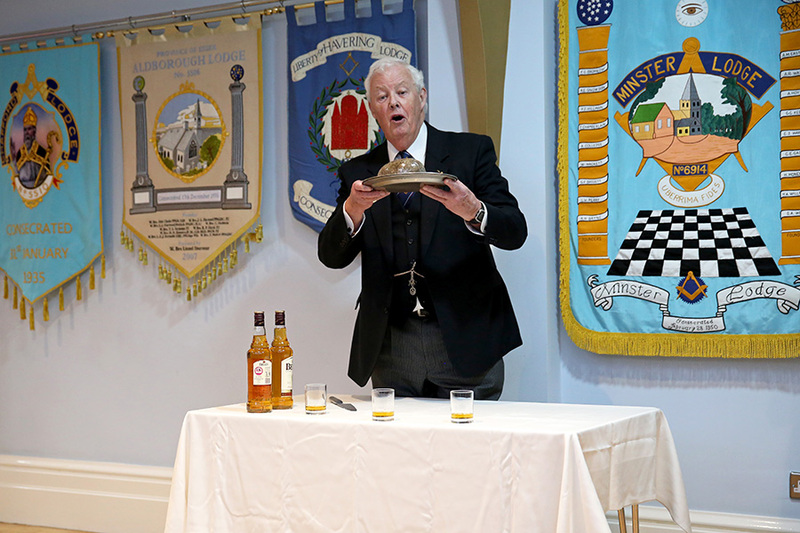 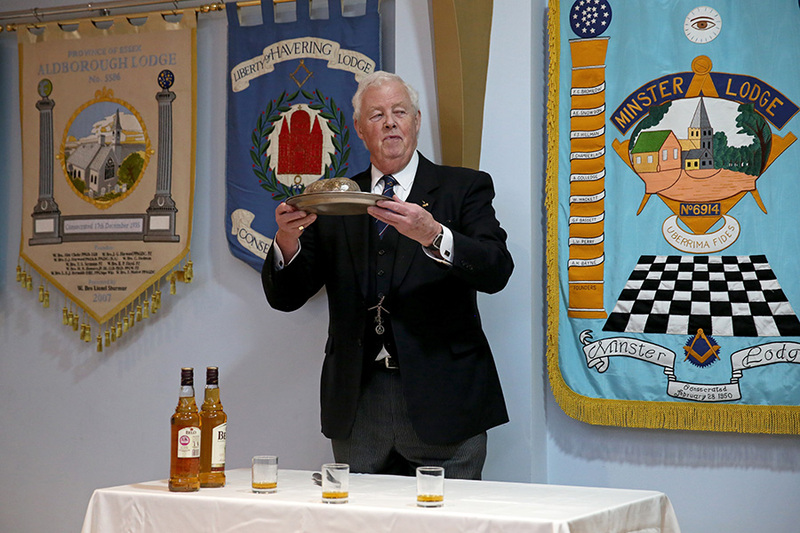 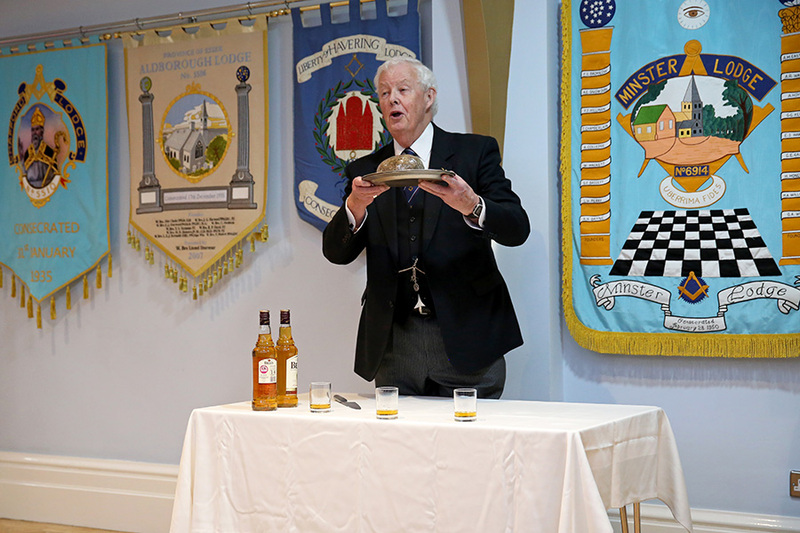 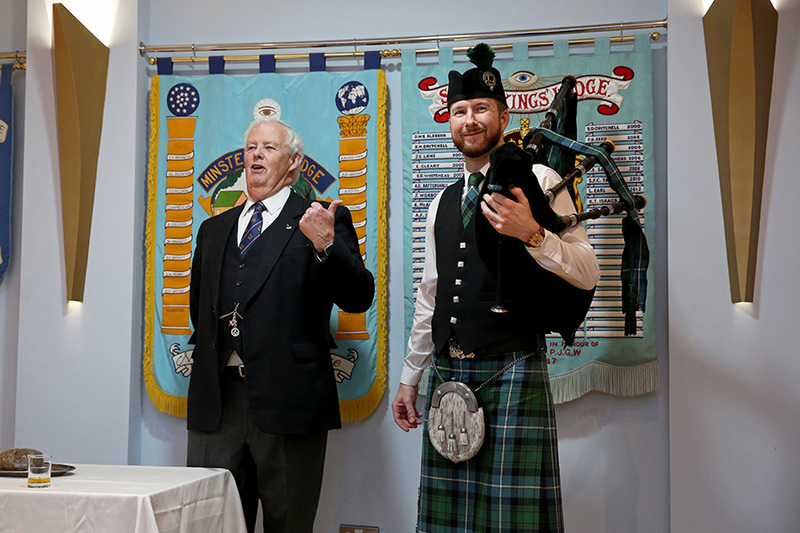 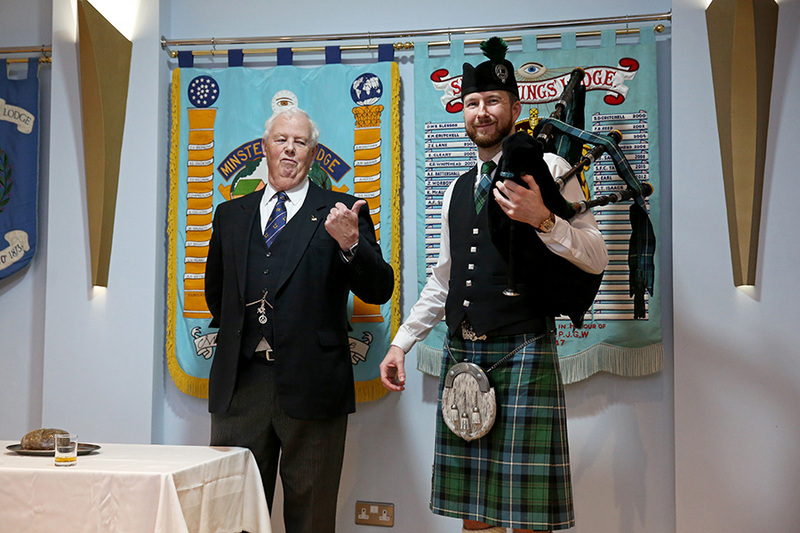 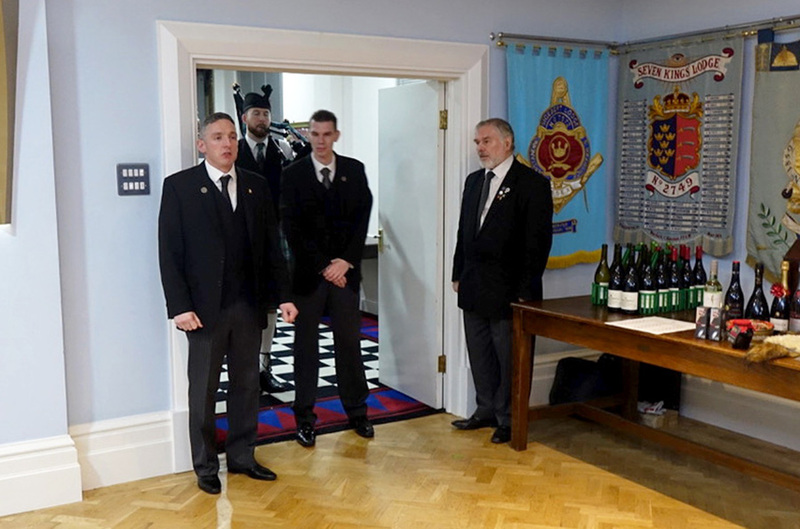 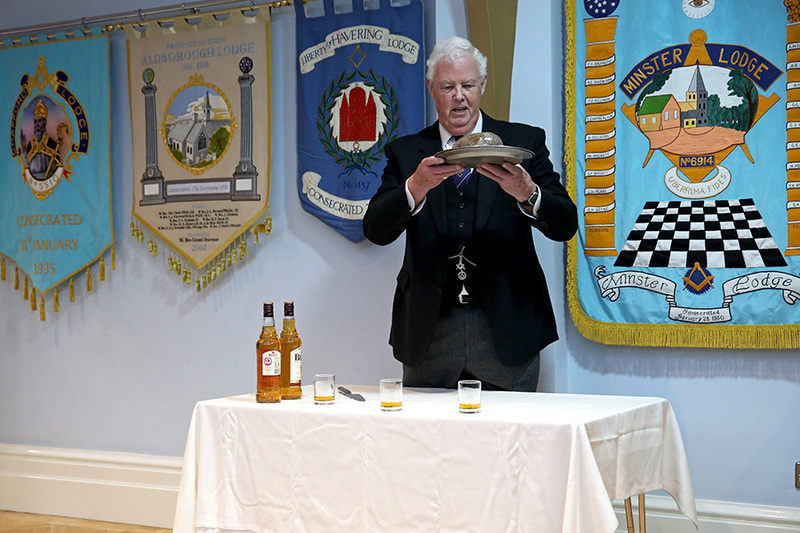 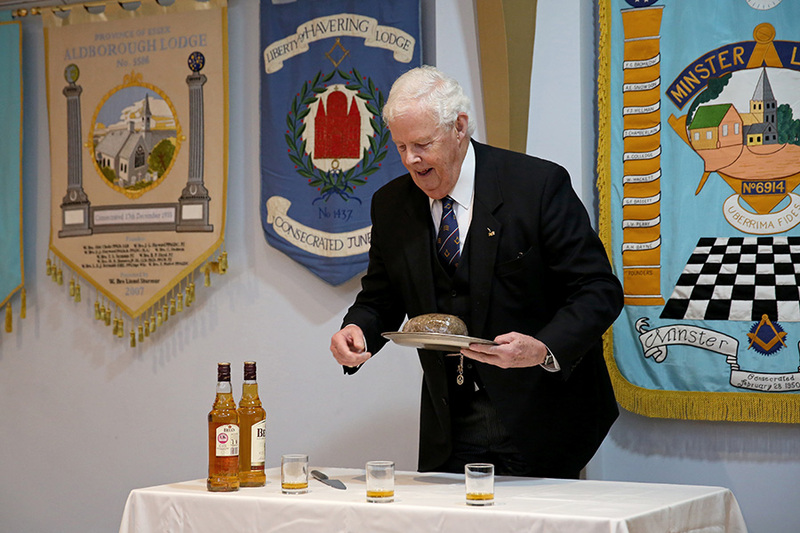 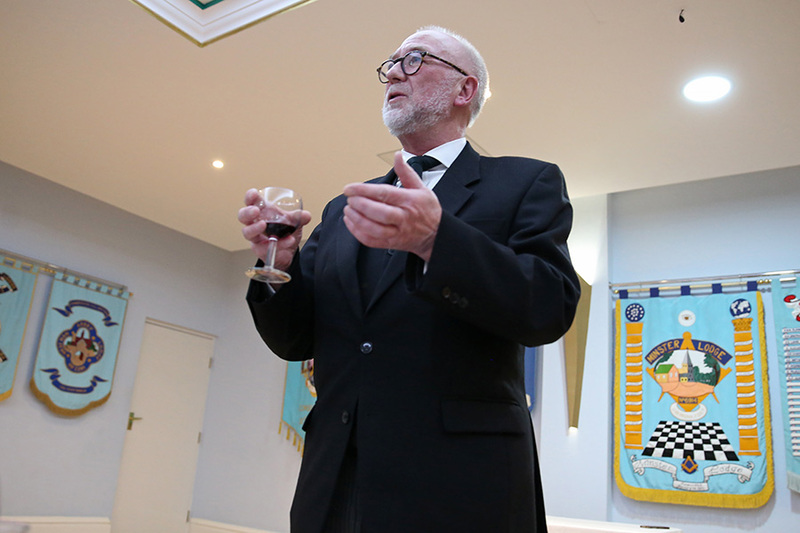 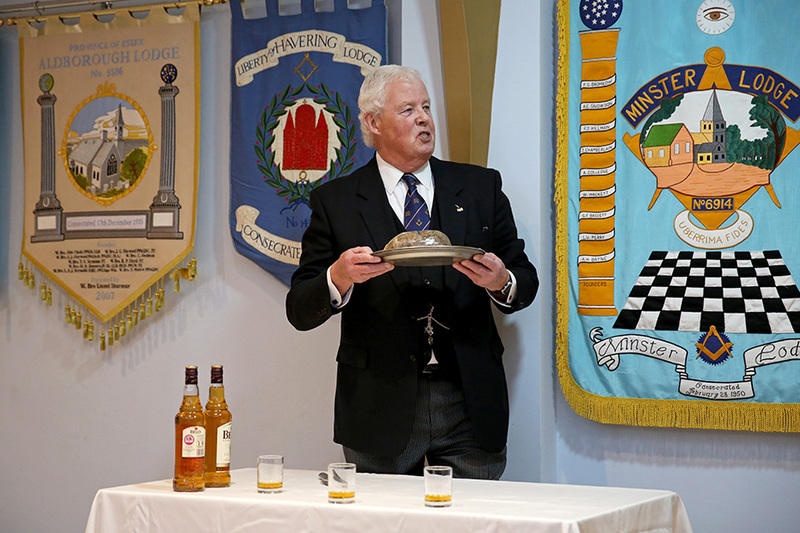 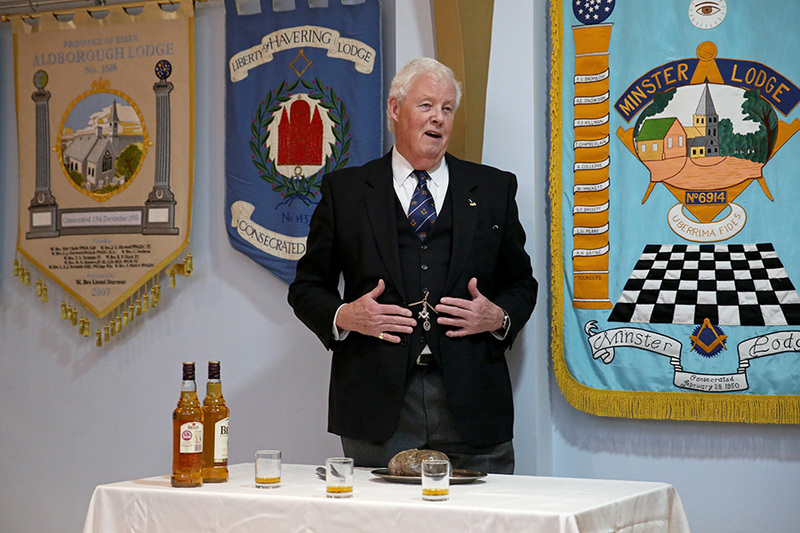 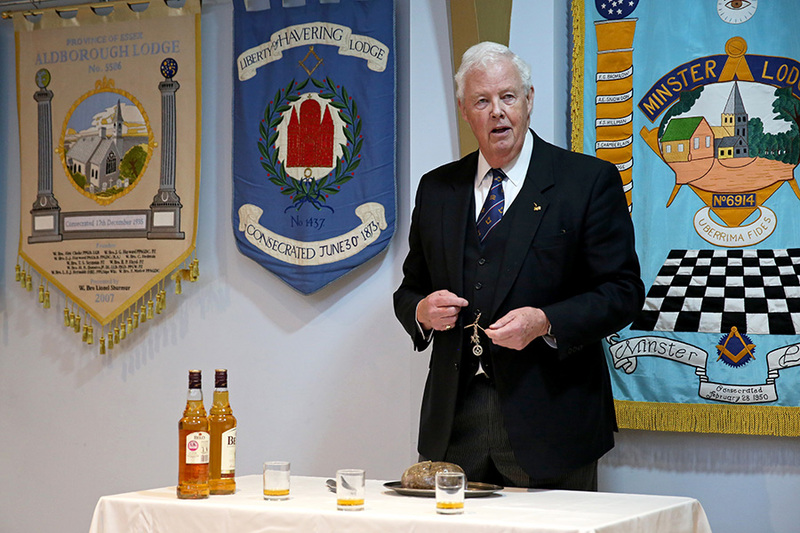 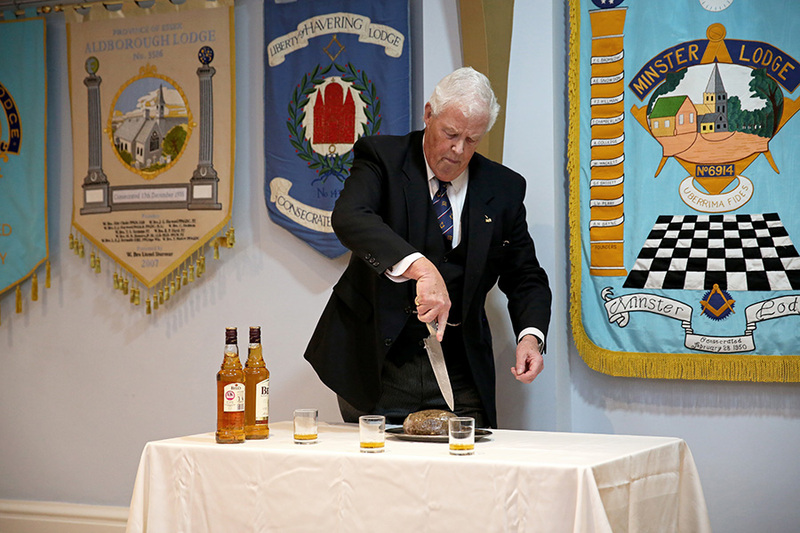 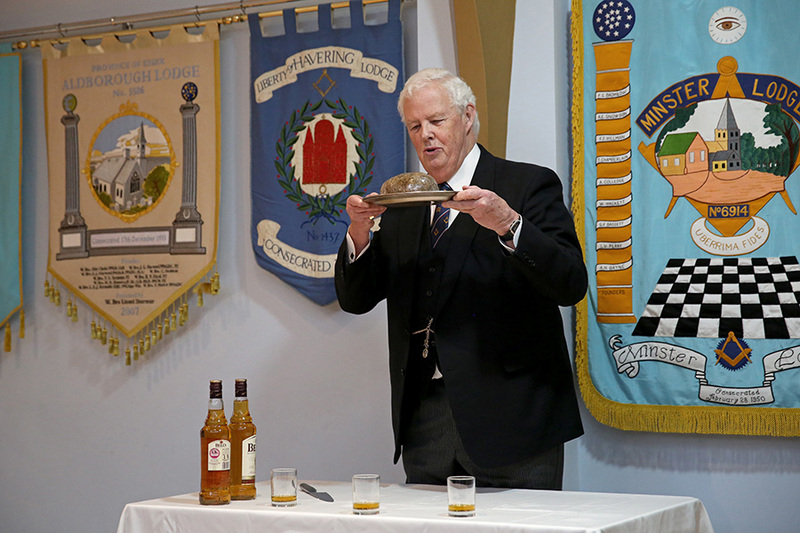 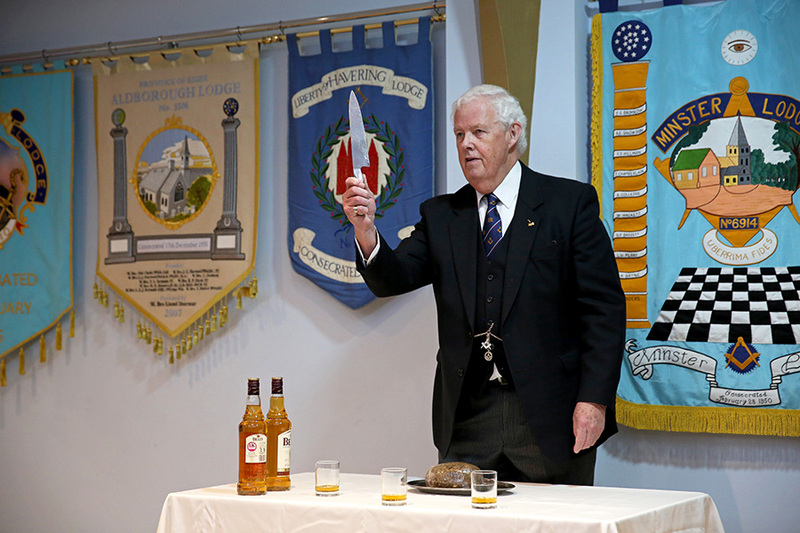 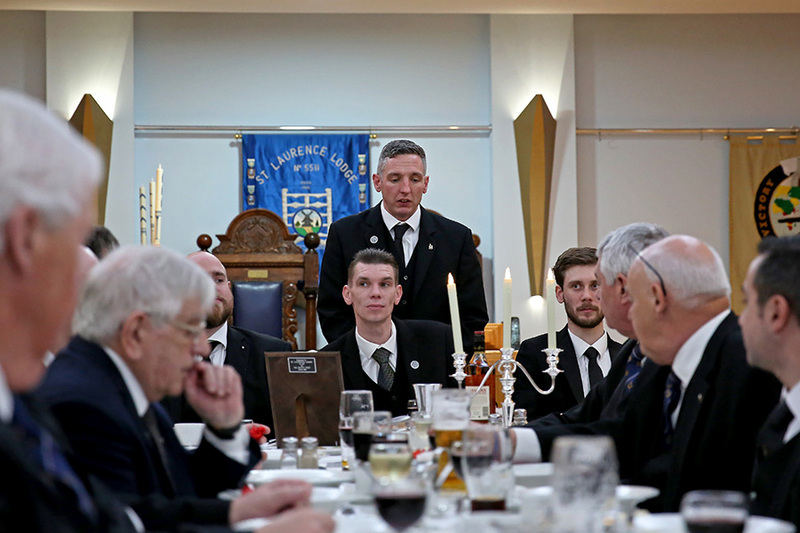 W Bro Dean gave the address to the Master and W Bros Lawrie Morrisson and Graham Mackenzie delivered the addresses to the Wardens and Brethren respectively. 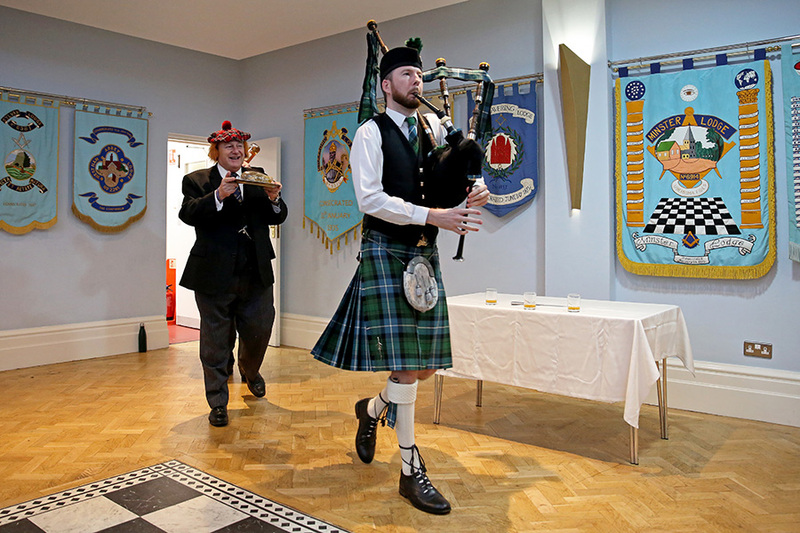 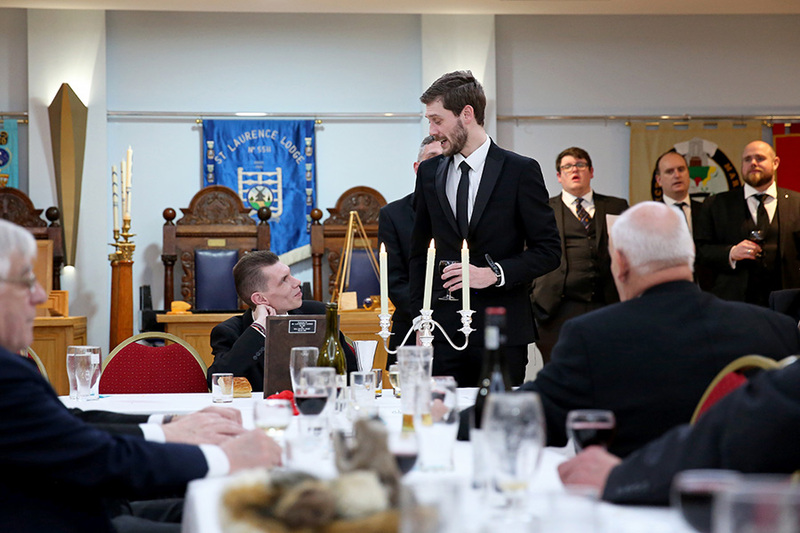 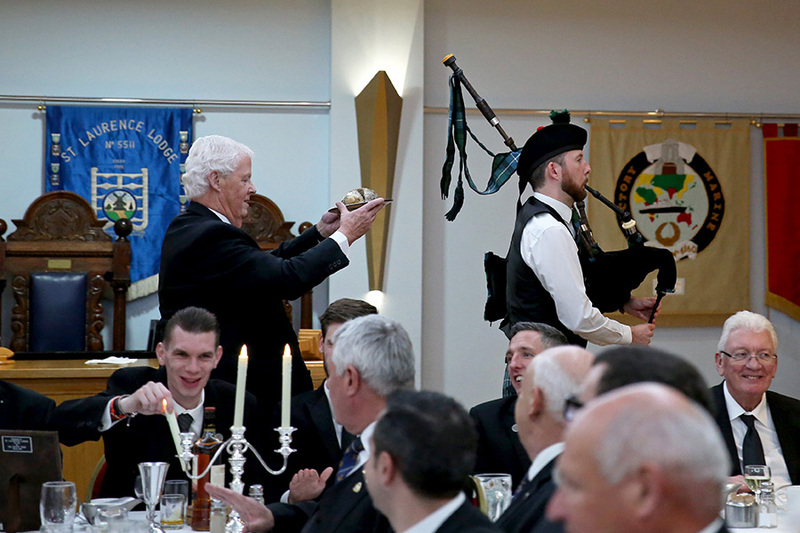 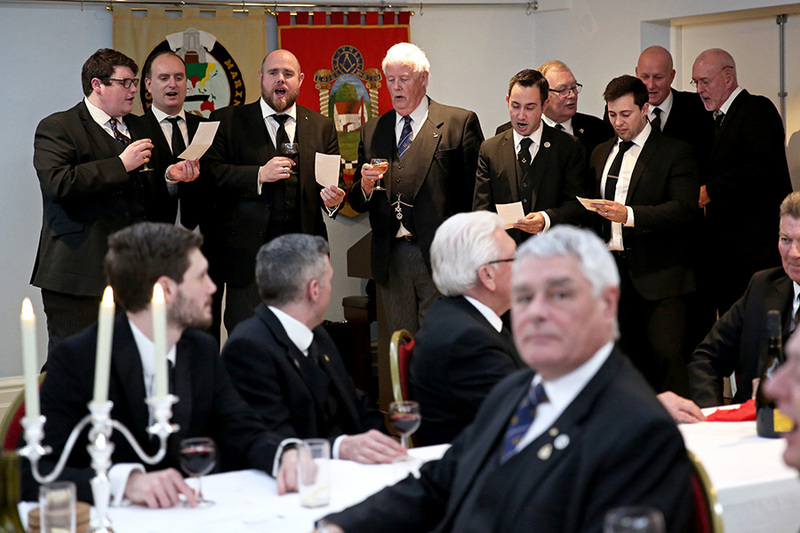 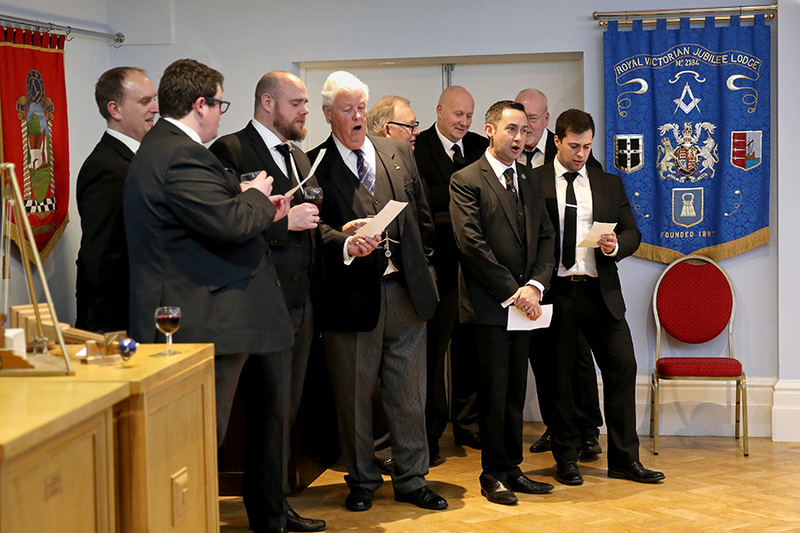 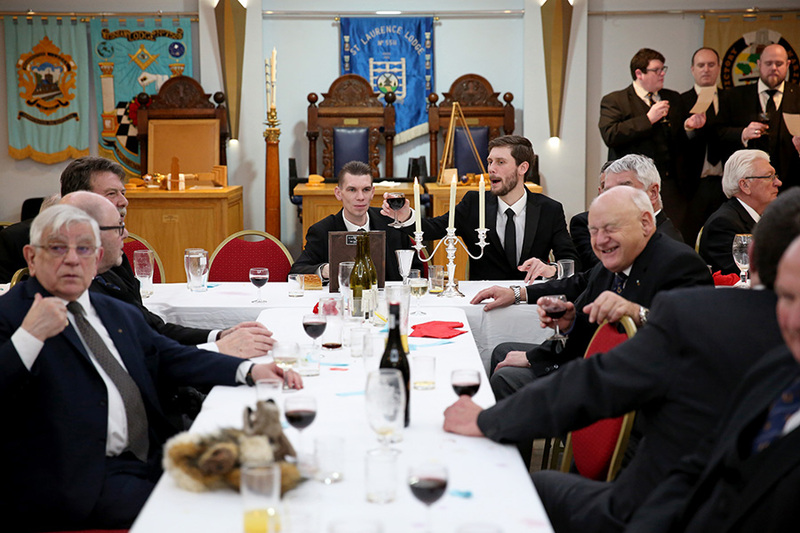 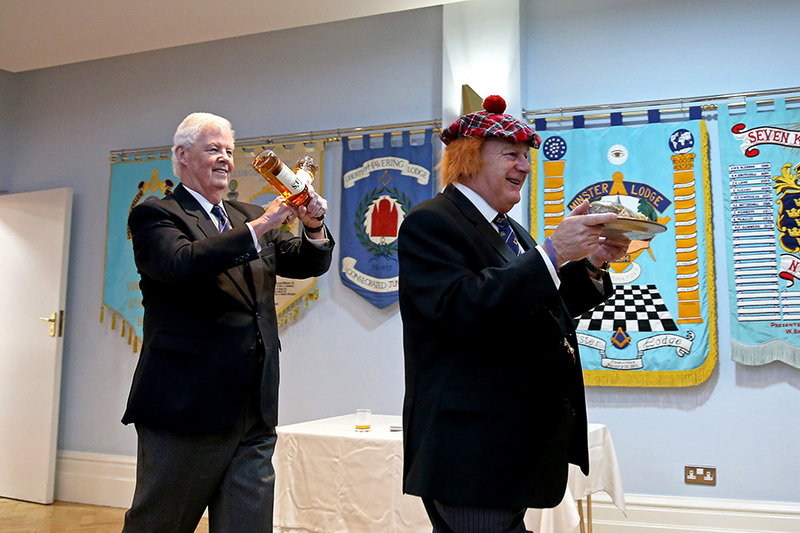 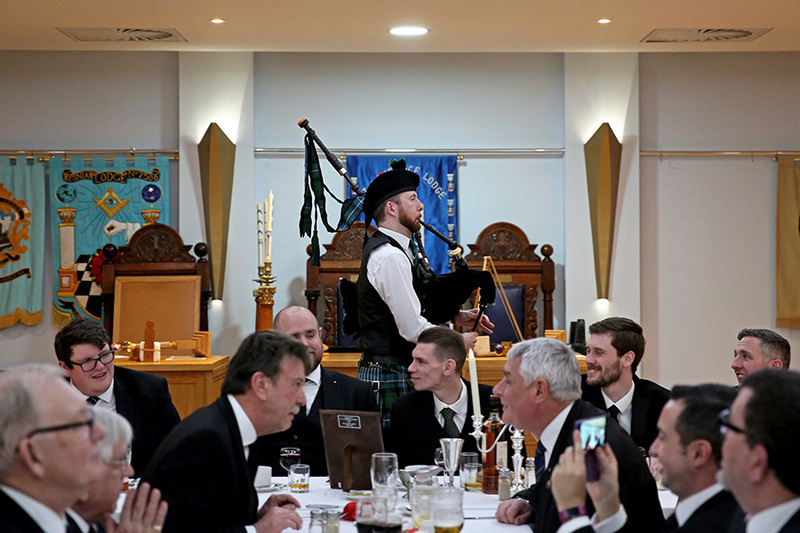 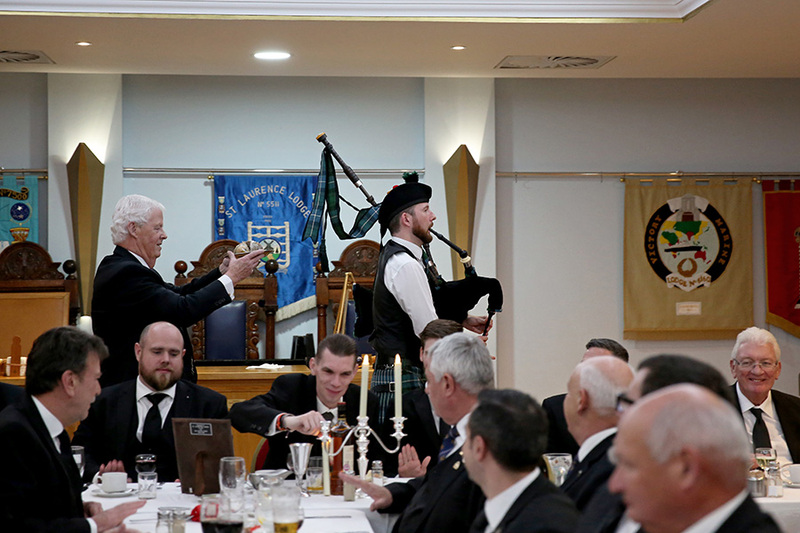 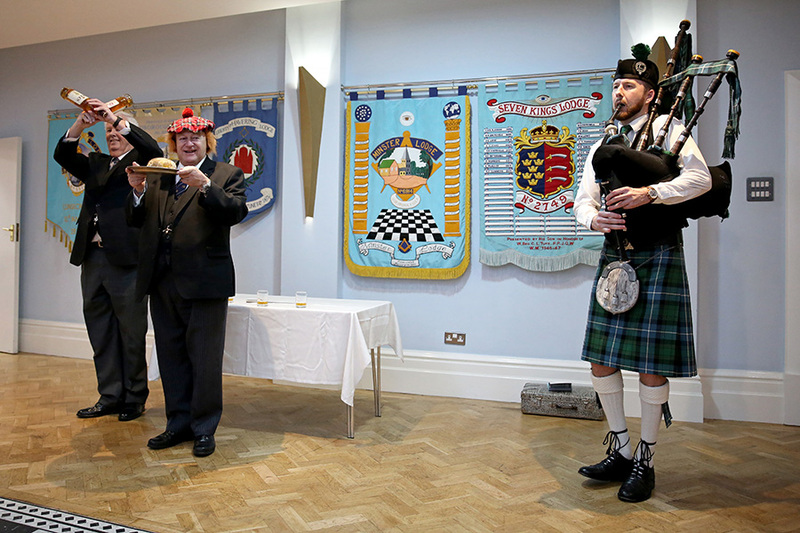 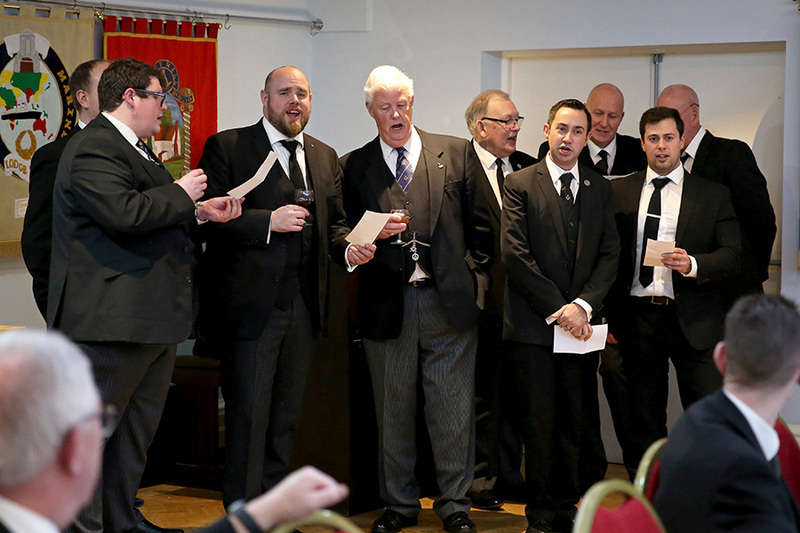 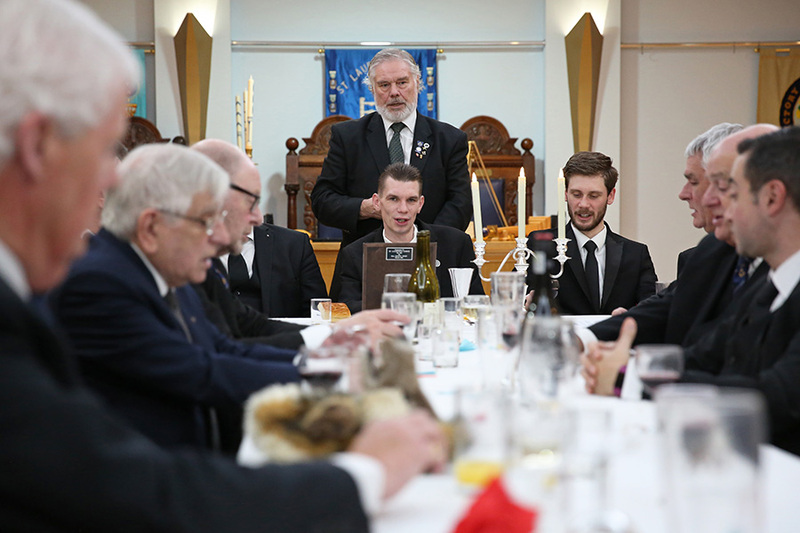 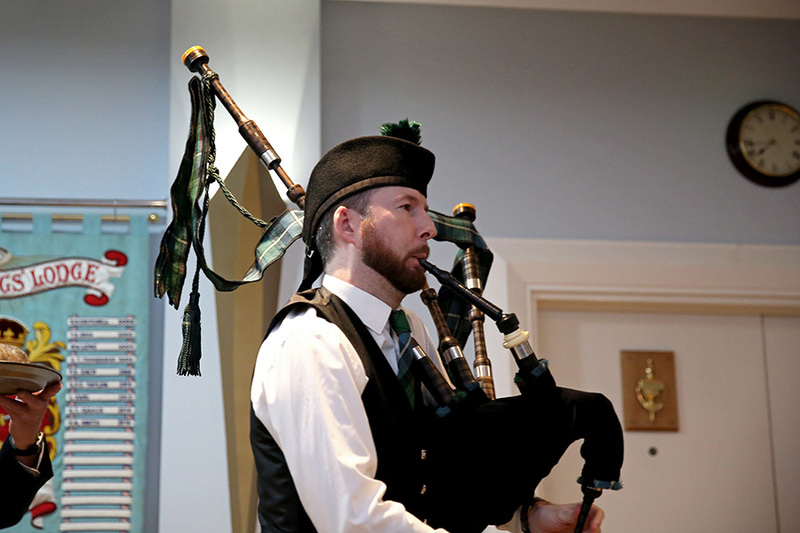 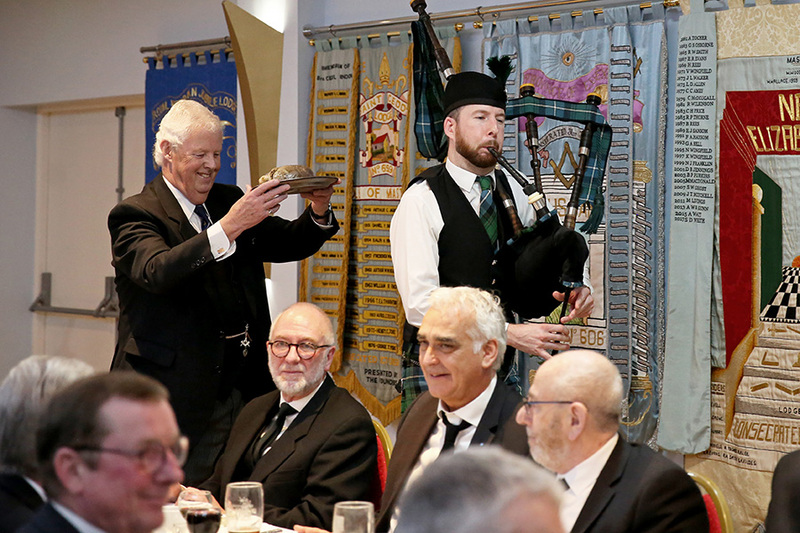 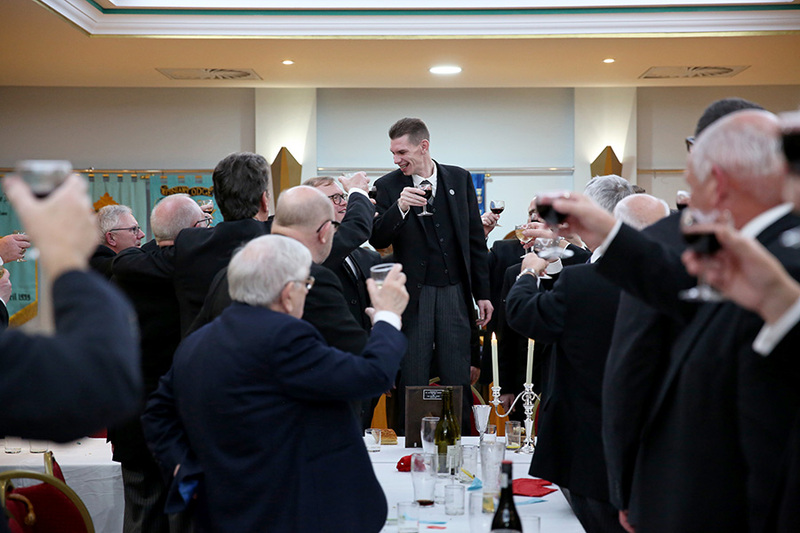 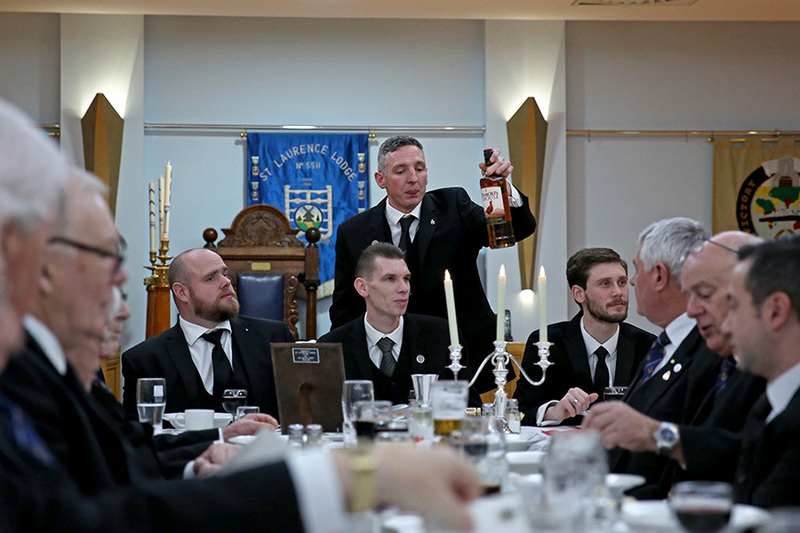 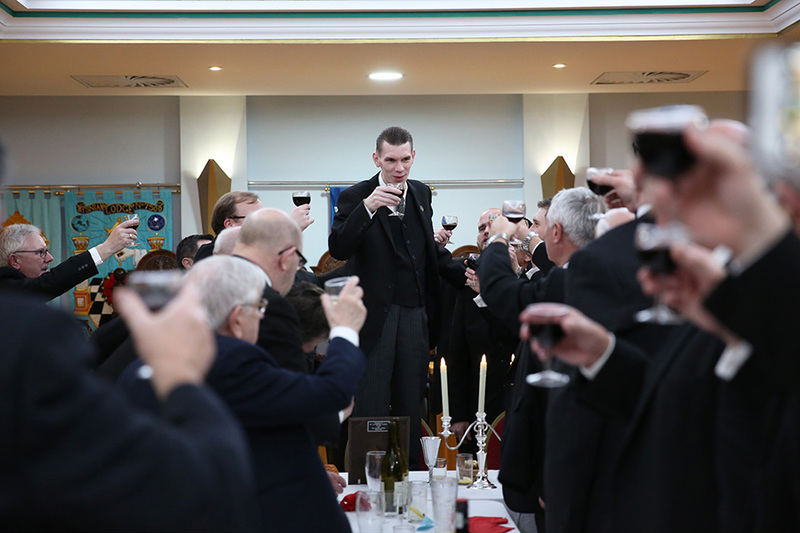 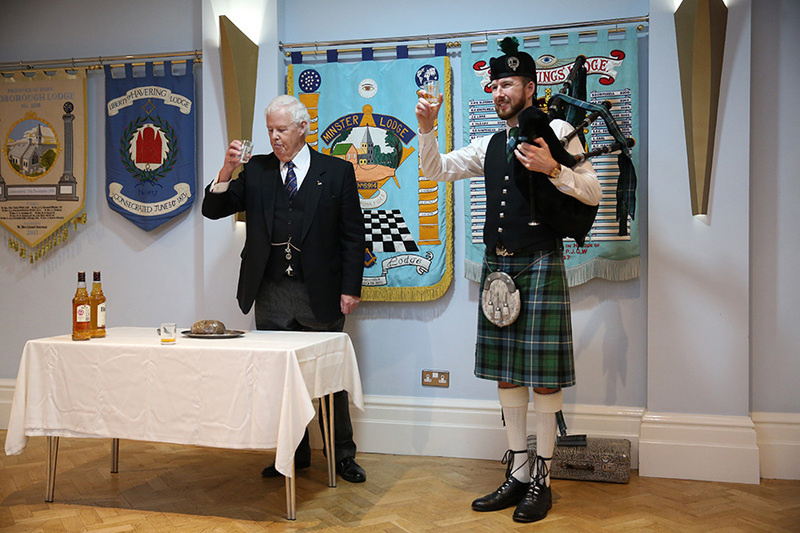 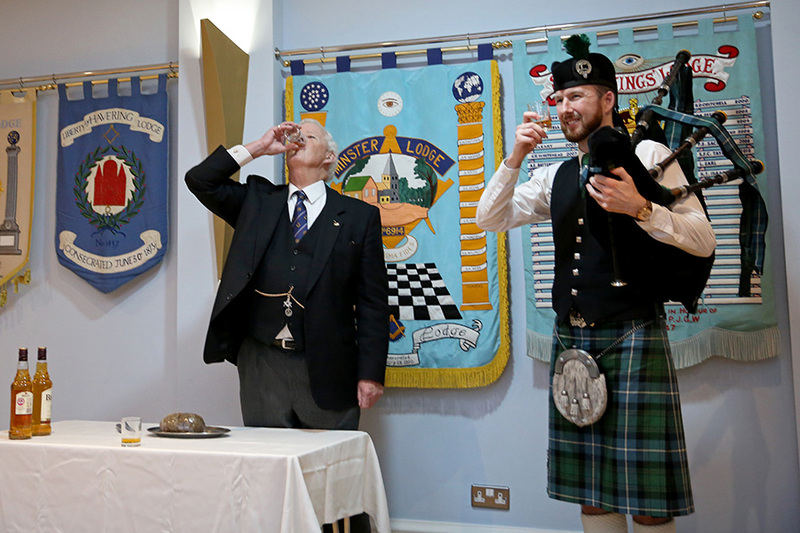 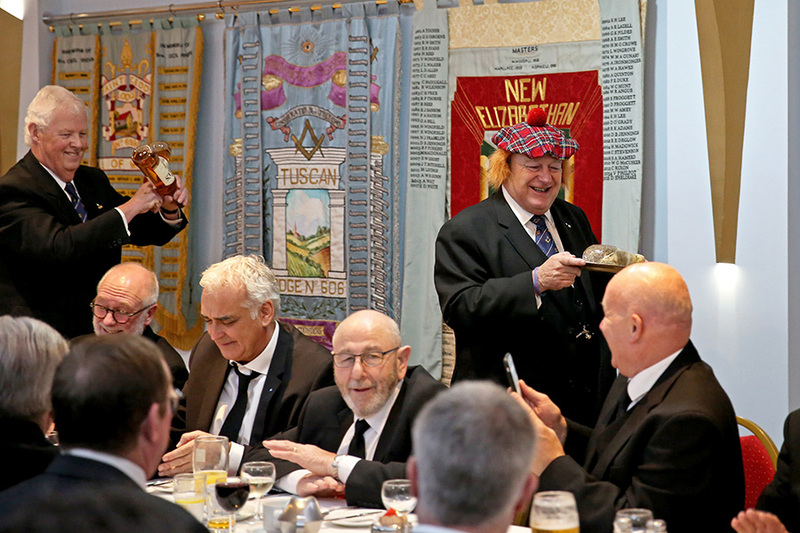 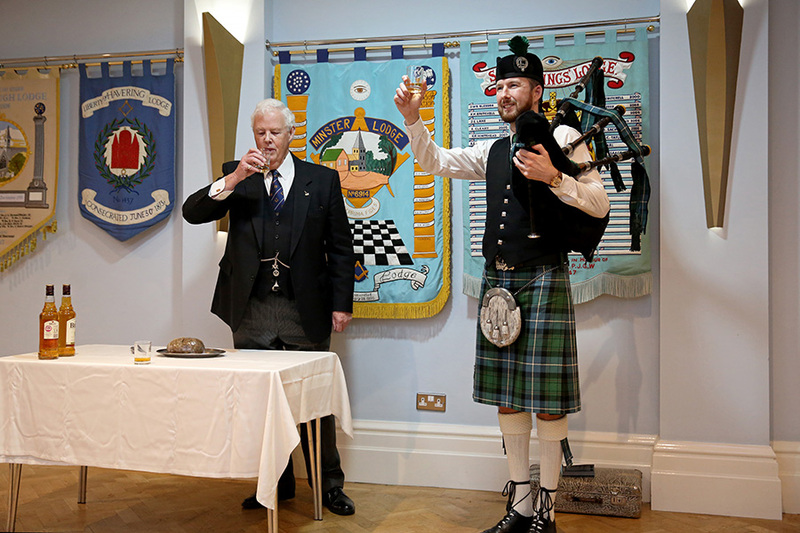 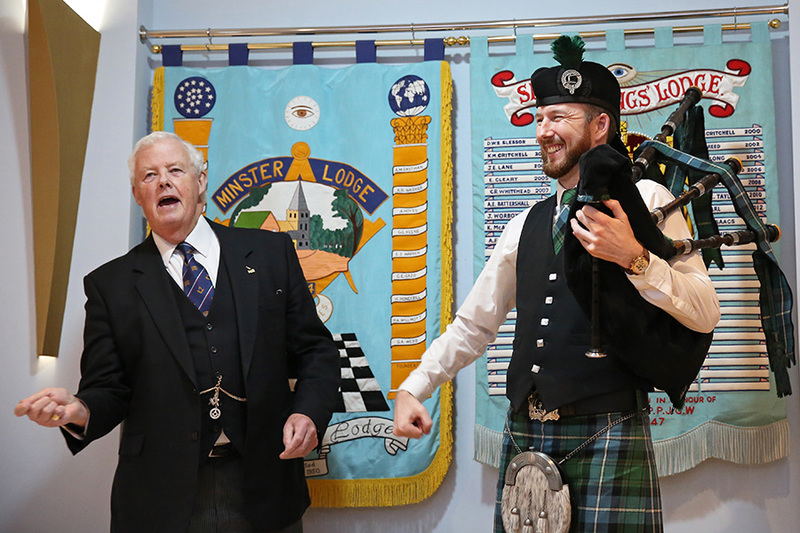 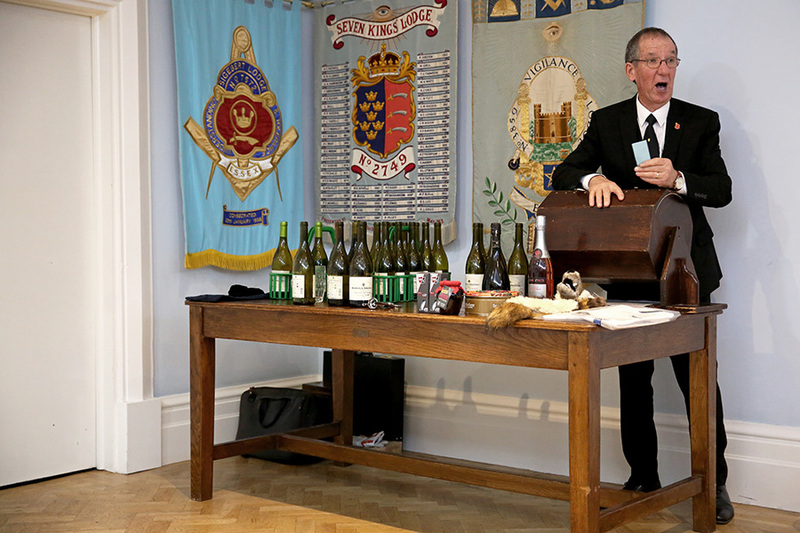 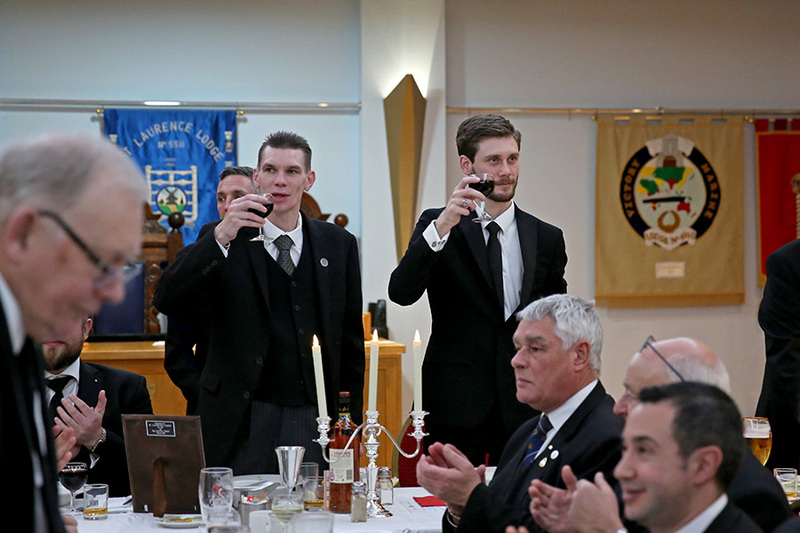 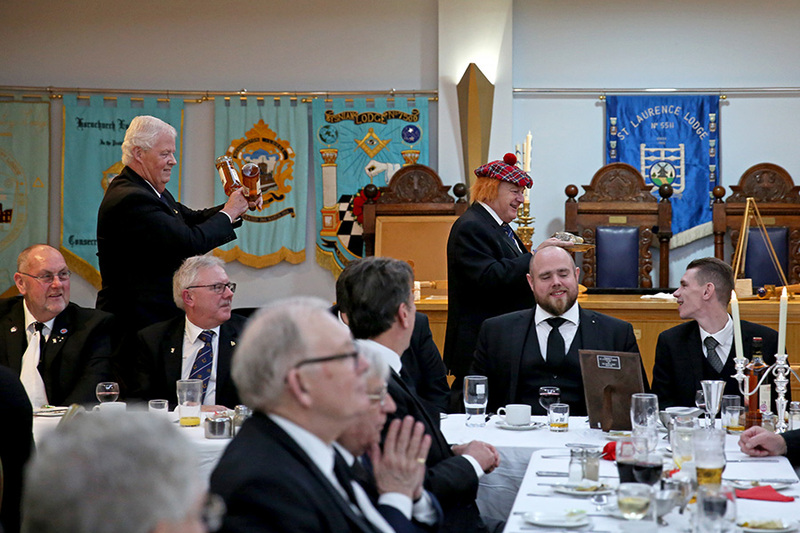 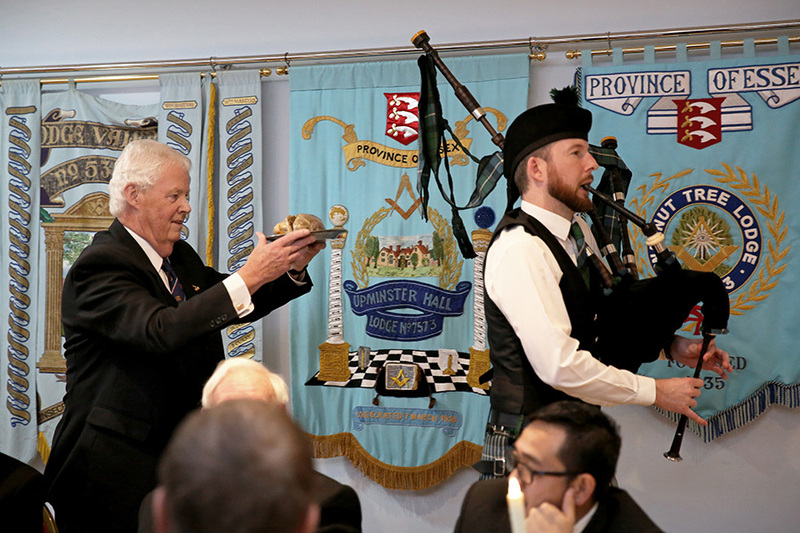 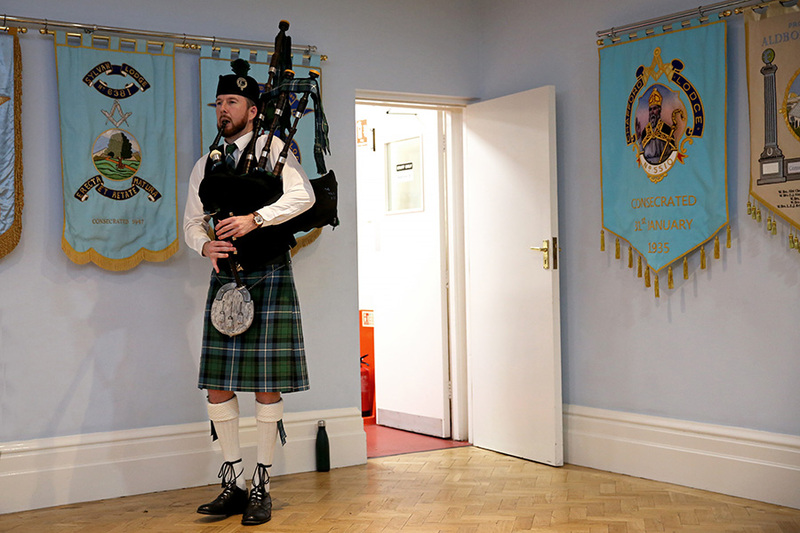 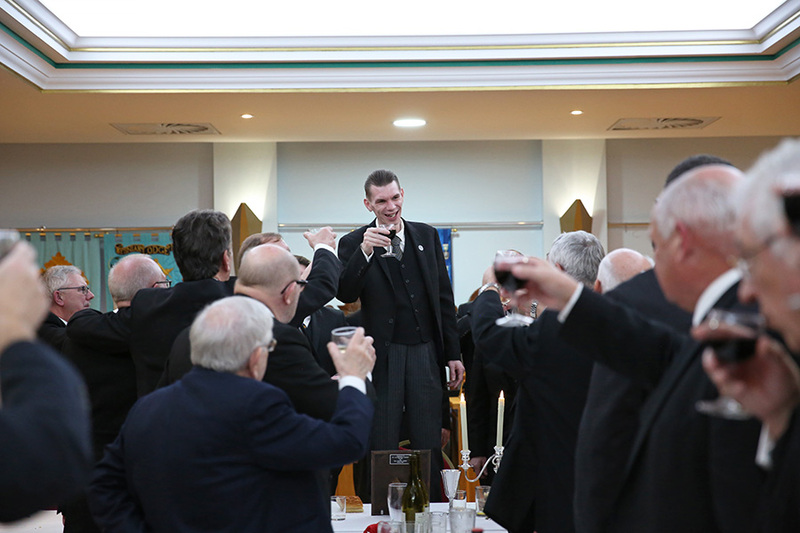 At the festive board we had a piper, haggis and singing of the Master's Song by the St Laurence choir. 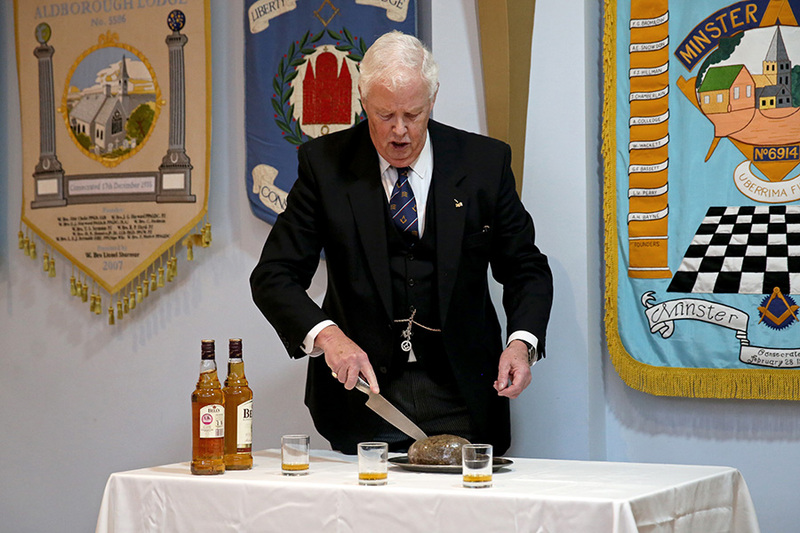 Perfeck!